The smart and swift stands out! Andrews Challenge is a transparent program. Our awardees or scholars are verifiable persons. Upon verification of eligibility requirements, the winners of only the PEAS LTD scholarships (NOT third-party sponsored ones) are listed hereby, with their respective individual profile as at that time. Secondary Challenge 1 90% in 67 seconds. Exam was 10 questions for 420 seconds. oladeleobende O. F. Obende Ipaja, Lagos He hails from Igarra in Akoko-Edo Local Government of Edo State. The 3rd son of 4 boys is currently a SSS3 student of Woodland Hills High School. Faithful has Literature and Government as his favourite subjects. He takes time to meditate when doing nothing serious. He sees himself as a reputable Lawyer in the nearest future. I am thankful to God for winning and is grateful to the organizers. Secondary Challenge 2 90% in 81 seconds Jessy J. O. Harrison Maryland, Lagos Born and raised in Lagos State but from Imo State. She is surrounded by a loving and supportive family. Studied at St. Gloria's College (Graduating set 2012/2013). Her favourite subjects are English Language and Visual Arts. Hobbies are reading and discovering new things and also listening to music. She would love to become a self-employed business woman. The contest was keener this season and we really studied for it. Thank you True Measured Limited! Tertiary Challenge 1 100% in 101 seconds. Exam was 10 questions for 420 seconds. kellyobende K. O. Obende Ipaja, Lagos He hails from Igarra in Akoko-Edo Local Government of Edo State. The 1st son of 4 boys is currently a 300 level student of the University of Lagos. 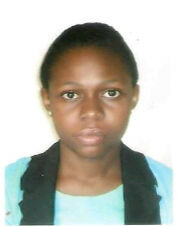 Kelly is currently studying Electrical/Electronic Engineering. He plays soccer at his leisure time. He sees himself impacting young lives and being a positive influence in his generation. I did not register on time for Season 1 due to procastination. When my brother came second, I knew it is for real and gave it my best shot in this edition. It is a laudable effort and I invite more students across the nation to partake in future. Thank you. Tertiary Challenge 2 100% in 402 seconds Oloriade T. M. Oloriade Lawanson, Lagos A student of Mechanical Engineering, University of Lagos, 300 level. 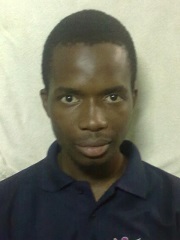 He aspires to be a foremost researcher / inventor to solve problems that arise in the environment. He enjoys reading and speaking to people. Having won in Season 1, I almost took it for granted and it was not until the last day that I could enter the Highscores table. The questions were really standard this time around, nice job! Tertiary Challenge 3 90% in 117 seconds joshitoemento J. Oladipo Lagos He is from Oyo state and the 2nd in a family of 5. 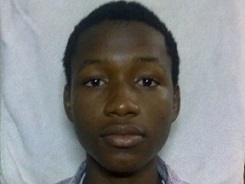 Joshua attended Command Secondary School, Lagos and is presently a student of the University of Lagos. He is a 300 level student in Electrical / Electronics Engineering Department.His favourite subject is Mathematics and any type of interesting logical subject. He loves chatting with people, reading and solving difficult problems. He desires to be the best of which God had created him in order to fulfill purpose in life. I thank God that I did not lose out completely as my parents did not believe in it. Since my coursemate came second last year, I was determined to take part. I personally squeezed out the participation fee for myself and my sister who contended in the run-off for the 3rd place in the Secondary category.